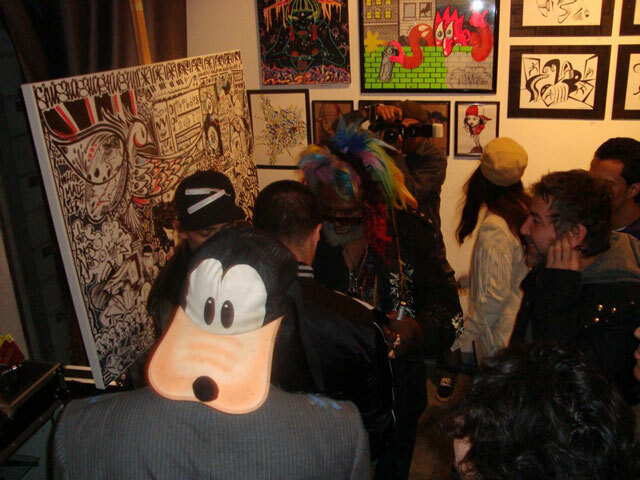 George Clinton spotted doodling @ The Sharpie Show. 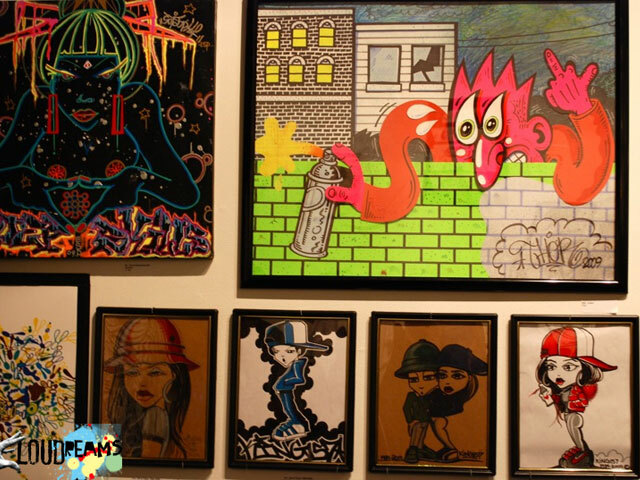 It looks like the opening for this little group show I’m in @ Crewest Gallery in LA was a lot of fun. Next time the Mother Ship will have to come down and scoop me up. It looks like I'm in good company. The piece to the left of mine is by fellow Hell Cat Steph G, and the characters underneath are by long-time graffiti Super Rocker King 157. 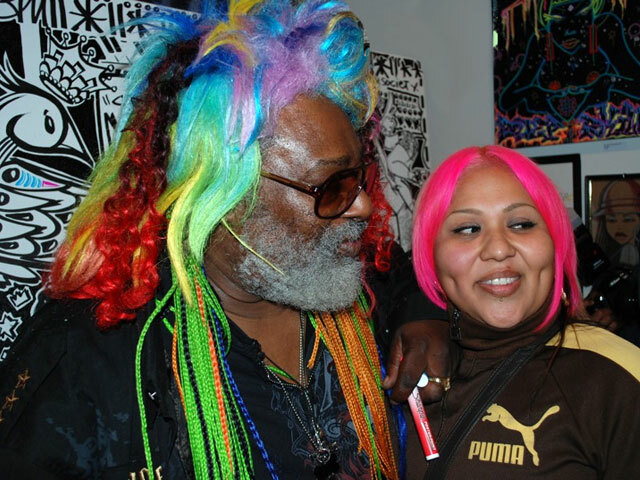 George Clinton swaps some beauty secrets.